Home→What type of course should I take? This page is a work in progress. Please let me know if I have missing or incorrect information. Unless noted otherwise this list and the citations all refer to licensing and certification in NH. If you’re not sure what type of course you should be taking please feel free to email me and ask! Body Art Renewals are annual and licensees need to submit a yearly Blood Borne Pathogens course. If licensees have a second or third classification, they will need to have an additional 3 hours of continuing education for every other classification. AHA Heartsaver Bloodborne Pathogens classroom or online course. You can read a full description of what is covered in an AHA Heartsaver course or you can view the calendar of upcoming classes. Courses can be schedule at your location for your staff and co-workers! Just call Gail at 603-834-3177 or email her for more information. (i) During all operating hours at least one staff person, per every 20 children, who is trained and currently certified in cardiopulmonary resuscitation (CPR) and first aid by the American Red Cross, American Heart Association, Emergency Care and Safety Institute, National Safety Council or other nationally recognized organization shall be present in the program. (j) CPR and first aid training as specified in (i) above shall not be received via correspondence or on-line. (k) CPR training required under (i) above shall include instruction in CPR and foreign body airway obstruction management for infants and children. Please note that He-C 4002.30 states that CPR & First Aid classes cannot be included in annual required professional development hours. AHA Heartsaver CPR AED, AHA Heartsaver Pediatric First Aid and AHA Heartsaver Pediatric First Aid with CPR & AED. You can read a full description of what is covered in an AHA Heartsaver or an ASHI course or you can view the calendar of upcoming classes. I found the New Hampshire Board of Nursing website a little confusing. I could not find a list of initial licensing requirements. However under continuing competence BLS can be used for continuing education credits where 1 hour of class equals 1 credit. LNA’s must hold CPR certification to receive a license from the State of New Hampshire. However it is not required to hold BLS certification. The level of CPR certification seems to be dependent upon where the LNA works. The American Heart Association Heartsaver CPR AED course or ASHI Community CPR AED course would meet this criteria. LNA’s working in a hospital or more clinical environment may wish to take the American Heart Association BLS for Healthcare Providers course. 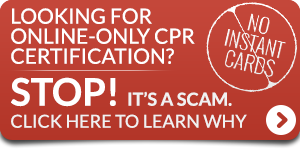 The NH Board of Chiropractic Examiners does not require CPR or First Aid certification for a NH License to Practice. 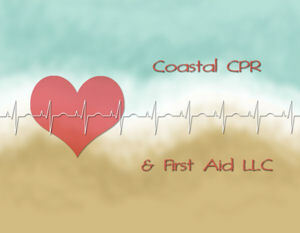 However a CPR course can be used to meet continuing education requirements. I have also had a calls from a few chiropractors looking for a course on a recommendation from their insurance company. How many hours of continuing education are required for renewal? Documentation of biannually completing 20 clock hours of continuing education in subjects related to Chiropractic or Red Cross, American Heart Association. Education Requirements: 5 hours online only, 4 hours of American Red Cross or the Heart Associations. The NH Board of Chiropractic Examiners requires a CEU form. I have a letter that I can provide that includes the course outline, hours, and my credentials that should meet their requirements. Courses recommended to meet this requirement are The American Heart Association Heartsaver CPR AED. Some chiropractors have taken the American Heart Association’s BLS for Healthcare Providers Course. The BLS course contains an additional written exam and the score will be recorded on the CEU form. A full BLS for Healthcare Providers course is 4 1/2 hours long, however only 4 hours of CEU credit can be issued. You can read a full description of what is covered in an American Heart Association Heartsaver course or find out the different options for BLS for Healthcare Providers courses. You can also view the calendar of upcoming classes. It takes a lot of digging on the Coast Guard website, but I finally found the exact wording in the Code of Federal Regulations 46 CFR 11:205(e). (iv) A course the OCMI determines meets or exceeds the standards of the American Red Cross or American Heart Association courses. Coast Guard approved courses include the American Heart Association Heartsaver courses and the American Safety & Health Institute courses. For AHA courses I have a Coast Guard course certificate I can provide if necessary. For ASHI approved courses I am able to provide a personalized certificate that includes the National Maritime Center course code. Please ask in advance if you need an additional course acceptance certificate. You can read a full description of what is covered in an American Heart Association Heartsaver course or an American Safety & Health Institute Basic First Aid CPR AED course. You can also view the calendar of upcoming classes. Do you have a crew or have classmates who all need certification? Courses can be scheduled at your location or in my classroom. Just call Gail at 603-834-3177 or email her for more information. As of April 1, 2016, all Dental Hygienists must hold BLS certification. Courses recommended to meet this requirement are The American Heart Association BLS for Healthcare Providers and Heartcode. Providers renewing BLS certification can take a BLS for Renewing Providers. You can read a full description of what is covered in an American Heart Association BLS or Heartcode course. You can also view the calendar of upcoming classes. Courses can be scheduled at your location for your staff and co-workers! Just call Gail at 603-834-3177 or email her for more information. 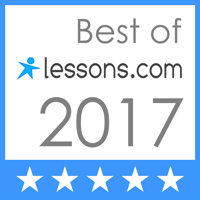 While NH does not require CPR or First Aid certification; the State of Maine requires Driver Education Instructors to be certified in First Aid. Specifically the course must be offered through the American Heart Association, American Red Cross or National Safety Council. The course recommended to meet this requirement is the American Heart Association’s Heartsaver First Aid course. You can read a full description of what is covered in an American Heart Association Heartsaver course. You can also view the calendar of upcoming classes. The NREMT will continue to require that all candidates for national EMS certification by the NREMT possess a current and valid CPR credential equivalent to the AHA’s CPR for Healthcare Provider. Courses recommended to meet this requirement are the American Heart Association’s BLS for Healthcare Providers full course, the AHA BLS for Healthcare Provider’s Renewal course and the AHA BLS Recert. BLS courses can also be taken as a 3 part online course; Part 1 is online, Part 2 is skills practice with an instructor and Part 3 is skills testing with an instructor. You can read a full description of what is covered in a BLS for Healthcare Providers American Heart Association BLS for Healthcare Providers classroom course or a BLS for Healthcare Providers courses or a BLS Online course. You can also view the calendar of upcoming classes. In addition to passing the written and oral board examinations, each applicant shall have successfully completed and be currently certified in, at a minimum, a basic first aid course and basic CPR course which requires individuals to perform the practical skill in the course to be certified. AHA Heartsaver CPR AED, AHA Heartsaver First Aid and AHA Heartsaver First Aid CPR AED. Courses recommended to meet this requirement are The American Heart Association Heartsaver CPR AED, American Safety & Health Institute Community CPR AED, or the American Heart Association BLS for Healthcare Providers or BLS Online. Providers renewing BLS certification can take a BLS Renewal or Recert. BLS courses can also be taken as a 3 part online course; Part 1 is online, Part 2 is skills practice with an instructor and Part 3 is skills testing with an instructor. You can read a full description of what is covered in an American Heart Association Heartsaver course, an American Safety & Health Institute Community CPR AED course or find out the different options for BLS for Healthcare Providers courses or BLS Online course. You can also view the calendar of upcoming classes. Nurses and Nursing students must hold valid Healthcare Provider level CPR AED. The New Hampshire Nursing Board continuing competency list requires nurses to hold BLS certification. Optometrists with TPA (Therapeutic Pharmaceutical Agent) certification must hold current CPR AED certification level C. This is listed in Administrative Rules Opt 301.10 (4). CPR AED courses can also be used to meet continuing education requirements (Administrative Rules Opt 402.04 (j)). Being honest, I had not idea what “level C” meant … and I’m an instructor. So I did a little research and discovered it meant the course had to cover adult, child & infant CPR. Personal Trainers can take any CPR AED course as long as it has a hands-on skills component. Athletic Trainers must take a BLS for Healthcare Providers or other Healthcare Provider level course. According to the Aerobic and Fitness Association of American (AFAA) website, and the International Sports Sciences Association, Certified Personal Trainers must have Adult CPR AED. AFAA and ISSA are not the only certifying organization for personal or athletic trainers. Your certification may require a specific organizations card (like AHA or ASHI or ARC). Please check what your certification requires before signing up for a class so that I can make sure you are in the correct class for what you need. Some trainers have mentioned a requirement for First Aid certification. What CPR/AED providers does NASM accept? Can I do my CPR/ AED course Online? NASM recommends the following organizations-American Heart Association, American Red Cross, American Safety and Health Institute, St. John Ambulance, Emergency Care & Safety Institute or Emergency Medical Technician. Currently, all CPR/AED require hands-on assessment. Online courses will not be accepted unless a hands-on component is included. Full details of this category are located in the Certification Maintenance Requirements starting on page 3. Courses recommended for personal trainers are the AHA Heartsaver CPR AED and ASHI Community CPR AED. Courses recommended for athletic trainers are the American Heart Association’s BLS for Healthcare Providers full course, the AHA BLS for Healthcare Provider’s Renewal course and the AHA BLS Recert. BLS courses can also be taken as a 3 part online course; Part 1 is online, Part 2 is skills practice with an instructor and Part 3 is skills testing with an instructor. An RN or LPN will have their own BLS CPR requirements to meet for their individual licensing. School staff, including LNA staff, should be certified in CPR AED and First Aid to cover when nursing staff is absent and cover for school trips and activities. AHA Heartsaver CPR AED, AHA Heartsaver Pediatric First Aid, AHA Heartsaver First Aid, AHA Heartsaver Pediatric First Aid with CPR & AED or AHA Heartsaver First Aid CPR AED.